The highlight of the year for me is seeing the gardens lit up for Christmas. Warm white lights adorn the topiaries leading to the Palace and a majestic Christmas tree sits on the lawn in front of the loggia. 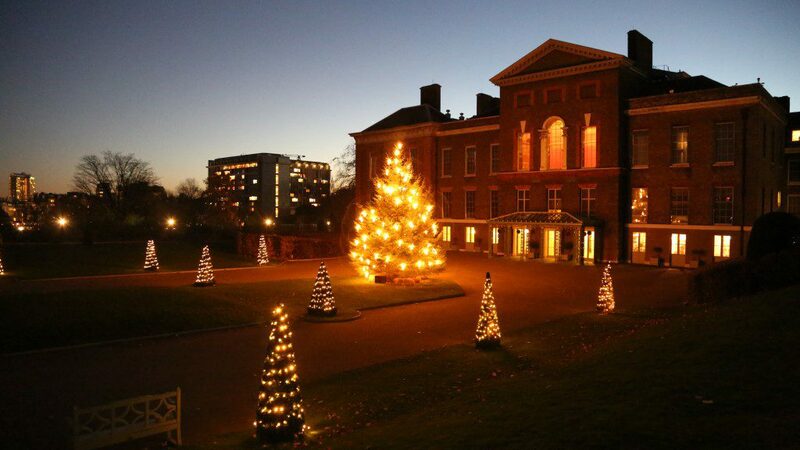 Creating the festive displays at Kensington Palace is very much a team effort with this year the design and theme being led by Tom Bennett, Creative Programming and Interpretation Manager. 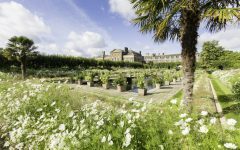 This is a blog to give a short insight into how the gardens team help at this exciting time of year. This year our impressive 30ft Christmas tree is a Sitka Spruce (Picea sitchensis) which will have taken around 25 years to grow. 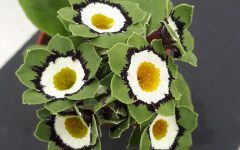 This tree is originally native to North America being introduced into Britain in 1831 by Scottish botanist, David Douglas. This spruce requires around a meter of rainfall per year to thrive and so is usually grown in the North of England or Scotland, where they can grow up to a staggering 200ft tall. The tree comes on a huge truck to arrive at the Palace at the early hours of the morning before any visitors are around. There is a concrete base hidden under the lawn that we unearth that the tree sits in to secure it in place. The truck is inbuilt with a crane to offload the tree and place upright in the hole (the driver uses a remote control to operate this from the ground). Then a chainsaw is used to take off some of the lower branches and chunks of wood are wedged with a mallet around the base of the tree to secure in place. Once in place, we use a cherry picker (MEWP) to place any lights or decorations on the tree. 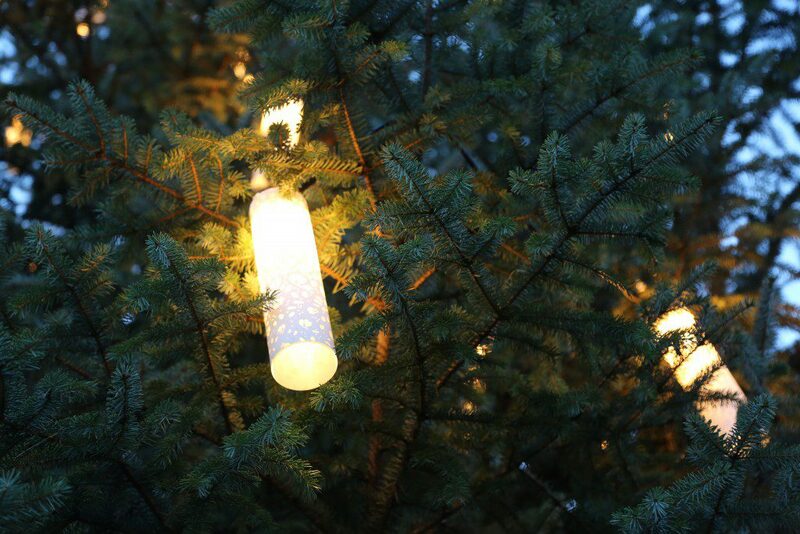 This year new tubular lanterns were produced for the tree to match the lights inside the Palace. It is quite an art to use the cherry picker to navigate the tree and evenly hang the lights- gardeners, Jude and Richard, luckily are both very skilled in this. We also add lights to the Cradle Walk, which at this time of year once the leaves have fallen and the framework is exposed, creates a beautiful lit walkway. In the entrance way to the Palace (both inside and out) we use standard variegated holly bushes. 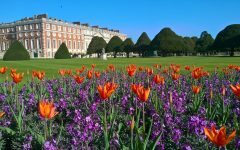 These are homed the rest of the year at Hampton Court. We add natural decorations; wiring dried oranges, pine cones, apple slices, cinnamon sticks and berries (fake) to the bushes. These provide colour and scent as visitors arrive at the Palace. 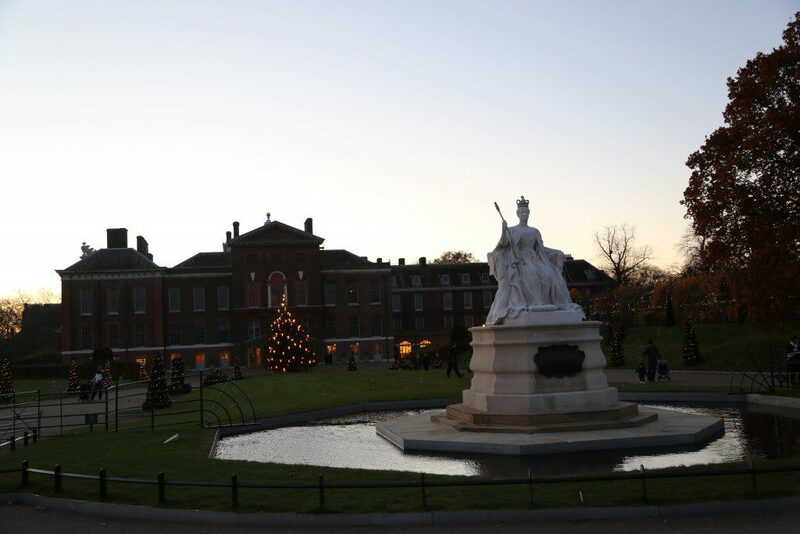 We enjoy helping to dress the palace and gardens ready for the festive season and take great pleasure seeing visitors taking photographs and enjoying Kensington at this time of year.